Revolve Clothing offers a wide range of products and services at incredibly low prices in Australia. These Revolve Clothing promo codes expire soon, so don’t forget to bookmark this page now. Latest Revolve Clothing promo code: Order Tami Heel shoes with stud accents and buckle closure from Revolve Clothing and get AUD$ 217.18 off. Exclusive Revolve Clothing voucher codes: Take advantage of this great offer from Revolve Clothing and save AUD$ 76.34 on Lovers + Friends Flirty Crop Top. New Revolve Clothing discount: Purchase X Revolve Skylar Dress from Revolve Clothing and save AUD$ 179.01 on it. Limited time Revolve Clothing coupon: Buy Ettika Braided leather Choker with gold tone chain and bead detail for just AUD$ 59.23. Seasonal Revolve Clothing deal & sale: Get acetate frame Komono LULU sunglass from Revolve Clothing at just AUD$ 78.97. Revolve Clothing free delivery offer: Shop clothing, shoes and accessories worth USD$100 or more and receive free international shipping. Revolve Clothing is a Los Angeles based online clothes retailer started in 2003. Revolve Clothing stock more than 500 different brands, spanning across women’s, men’s and children’s fashion and accessories. Revolve Clothing offers worldwide standard and express shipping to most countries around the world. International shipping is free for orders above $100. What does Revolve Clothing Offer? Women’s clothing, bags, and shoes, from generic brands as well as the world’s best designers. The range includes Active wear, Loungewear, Intimates, as well as wedding pieces. Men’s clothing, shoes and accessories from the world’s leading designers and brands. The range includes Active wear, leather, and Swimwear. A large range of accessories, including; Jewellery, scarves, socks, watches, belts and tech. A wide kids range for boys and girls. Range includes clothes, accessories and designer pieces. There are a number of features on the Revolve website to look out for across all clothing, shoes, and accessory categories for men and women. The ‘New’ section offers the option to browse through newly available stock across all categories. This section also includes the recommended designer brands from the Revolve Clothing team. You can choose to shop according to a number of categories. Once customers have picked one of three overarching categories; Men, Women or Children—they can then sort the categories by clothing, sale items, shoes, accessories, and more. The Hot List—a curated, recommended section from the Revolve Clothing team, with all the new garments, styles, collections and trends in fashion right now. Keep eyes out on the best and latest promotional deals running on the Revolve Clothing website? Some of these are permanent, and others are for a limited time only. Final Sale items: For items leaving stock permanently—these have the highest markdowns. 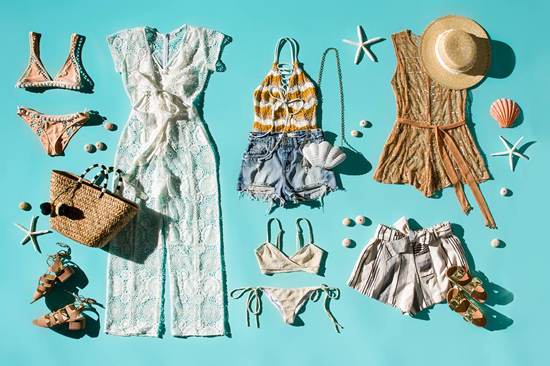 From everyday must haves to swimsuits get the hottest outfits by choosing from thousands of styles at Tobi. You can get marginal discount on your shopping with Tobi promo codes. Browse the categories on the Revolve Clothing website and select the relevant category. Click the Cart icon on the top-right corner of the web page. Enter your Billing Address and select the Shipping and Payment Methods. Enter the Discount Code/Coupon Code in the Discount Code text box under the "Review Your Order" section. Click the Apply button and verify if the discount has been applied. Looking for the designer clothing & accessories? Check out SammyDress and Neiman Marcus retailers and get handsome discount on its purchase. Pay a visit and subscribe to Revolves Clothing YouTube channel to get up to date on all their latest promotions and up-and-coming product lines! Purchasing a Revolve Clothing Gift Card ($25 - $300) for friends or family members makes a great gift—allowing them to purchase something to their liking from any category in the store. Revolve Clothing offers multiple delivery services. Orders ship the following business day. Items bought from Revolve Clothing can be returned for a full refund within the first 30 days of purchase. Items marked FINAL SALE cannot be refunded. 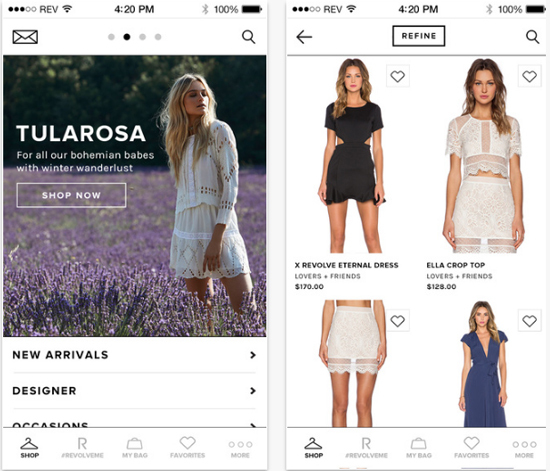 The Revolve Clothing mobile App is compatible with Android and Apple smartphones and tablets. The app allows you to shop on the go, or just browse and share the full Revolve Clothing collection of 500+ different brands. To get answers to common questions, get advice, or help with a purchased product—there are some platforms you can use to get support. The best option is to use the LiveChat feature on the Revolve Clothing website. Otherwise, you can get in contact with someone via the contact info below. Social media is a great way of keeping up to date with the latest deals and offers, as well as contacting the company with requests for information. Revolve Clothing is available on a variety of social media channels.